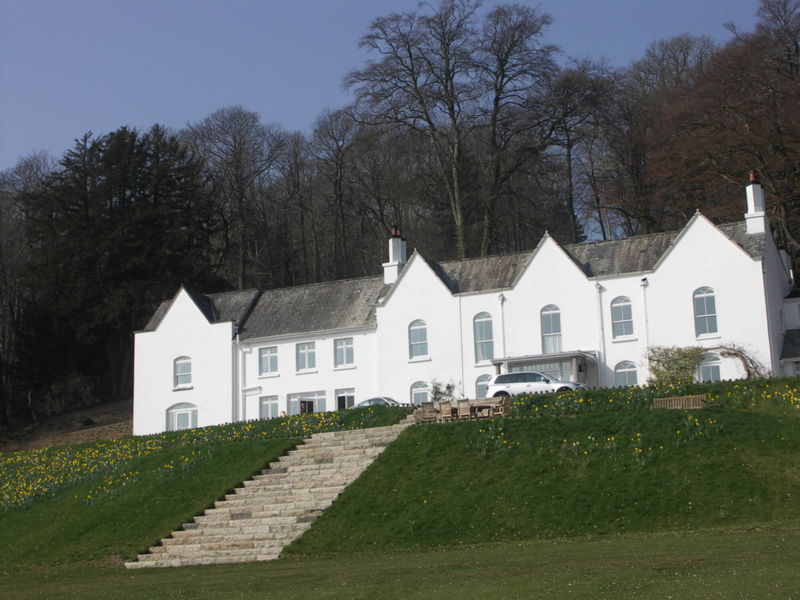 This Estate has changed hands by sale only twice since the Norman Conquest in 1066, the first time in 1885 to the Hon. Richard Dawson and in 1937 to Stephen Simpson, the present owner’s Great Grandfather. In 1066 William I granted the manor at Holne to Baldwin the Sheriff, who had held high command in the Norman army at the Battle of Hastings. He was the Grandson of Godfrey, Earl of Ewe, who was a son of Richard, Duke of Norway, and the grandfather of William the Conqueror. From him the manor descended to Bourchier, Earl of Ewe, who married Anne Plantagenet, a Grand Daughter of King Edward III. William Bourchier and his wife also inherited the Estates of Lord Fitzwarren, and the family then sat in the House of Lords under the title of Earl of Ewe until 1536, when the latter was created Earl of Bath. Henry, 5th Earl of Bath, died without issue in 1654 and at his death the title became extinct. His niece had married the Earl of Middlesex, and secondly Sir Chichester Wrey whose family then inherited. Holne itself is a small village, on an eminence, on the south-western side of the Dart valley, 3½ miles W. of Ashburton, has in its parish 394 souls, and about 5000 acres of land, but only about 2300 acres are cultivated, and the rest consists of about 500 acres of wood, and 2200 acres of moorland, in Holne Chase, which extends about two miles into Dartmoor Forest, amidst some of the most magnificent scenery in Devon, where the Dart is seen foaming over its rocky bed, between steep and shelving banks, and lofty wooded hills. Sir B.P. 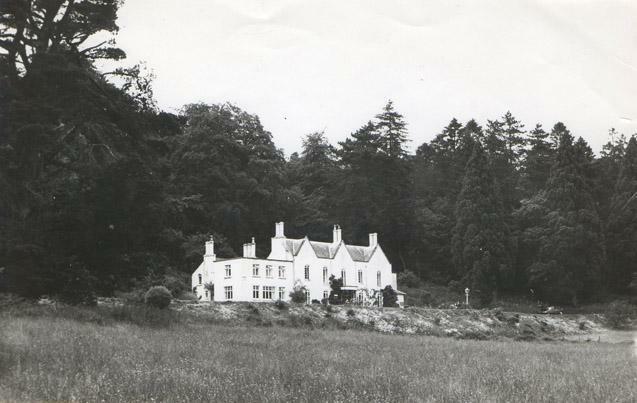 Wrey, Bart., is lord of the manor, formerly held by the Audleys and Bourchiers, and has a hunting seat here, called Holne Chase House, in a singularly romantic situation. 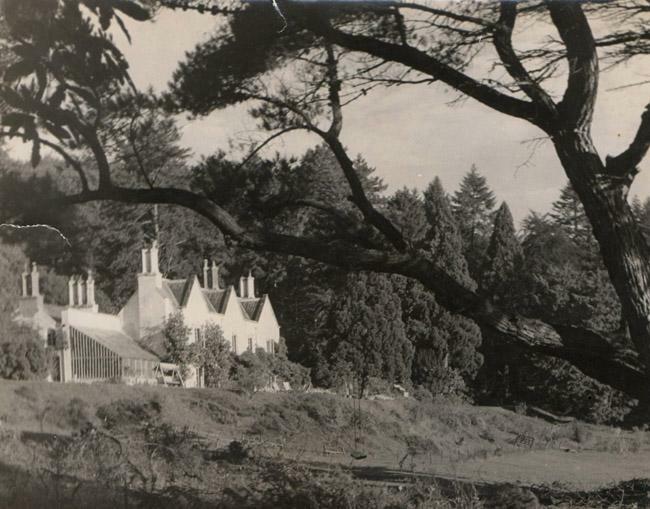 He owns most of the parish, which includes the hamlets of Michelcoombe and Stoke, and a number of scattered farms; and the Hunting Boxes called Holne Park and Holne Cottage. George Jarvis, Thos. Hamlyn, George Stranger, and a few others, have small freeholds here. The Church was built in the 13th century, and has an embattled tower and five bells. . . . 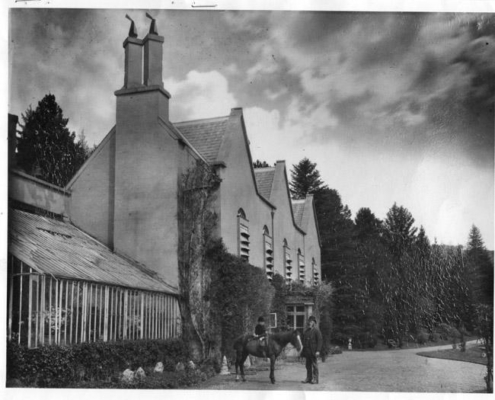 In 1885 Sir Bourchier Palk Wrey Bt., sold the Estate to the Hon. Richard Dawson. 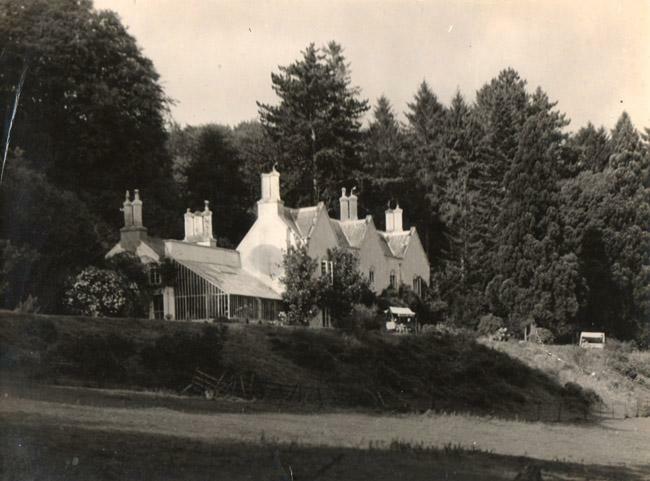 The Dawsons initially lived at Holne Chase, and then built a Victorian mansion at Holne Park, into which they moved. Holne Chase was let in 1890 to the Rev. Charles Foster, after whom a Salmon Pool is named, and in 1934 a temperance Hotel opened. In 1937 the neighbouring Landowner, Stephen Simpson of Spitchwick Manor, Poundsgate purchased the Estate from the Executors of Mrs Dawson whose husband and son had both died in 1914. Holne Chase was let as a Hotel until 2008 when it became uneconomically viable.